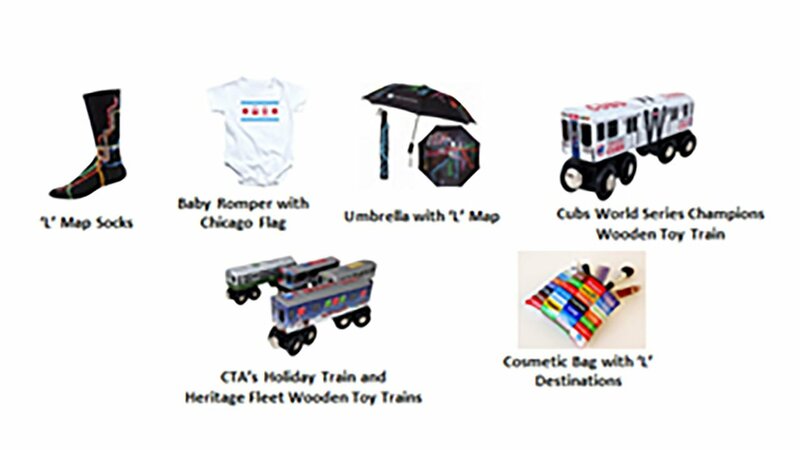 CHICAGO (WLS) -- Socks and umbrellas with the Chicago 'L' map and toy wooden holiday train are among the Holiday gift items the CTA is selling this year. The CTA also has plates and mugs commemorating the 125th anniversary of the 'L' and the 70th anniversary of the CTA. Other items include magnets, tote bags, a cosmetic bag with 'L" destinations and more. For more information, visit www.ctagifts.com.